Apply, join AusTurtle Inc, pay membership and deposit online and confirm by March 31 2019 for the refund of your deposit if you cannot attend. Follow the Sea Turtle Rescue and Rehabilitation Centre at CDU by clicking Here. and custodians of the sacred sites thereon. Follow the progress of UXO removal from Bare Sand Island. 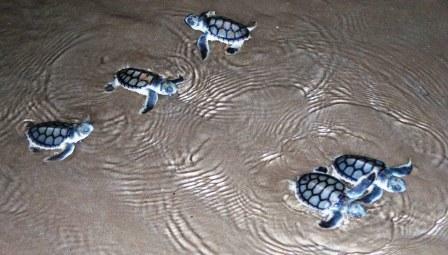 AusTurtle was established in June 2004 to promote sea turtle conservation and research in northern Australia. All species of sea turtles in Australian waters are listed as either endangered or vulnerable to extinction under the Commonwealth EPBC Act 1999. AusTurtle is a non-profit organisation and is run by concerned scientists, students and members of the public. AusTurtle is registered in the Northern Territory and has adopted the model constitution under the NT Associations Act 2004. To participate in discussions regarding sea turtle management, conservation and research at all levels including local, regional, national and international. To achieve these aims, AusTurtle will collaborate and form partnerships with other organisations and institutions, apply for funding from large organisations and government grants, and raise funds through the sale of merchandise.